Not all the cars that are entered are German built cars. 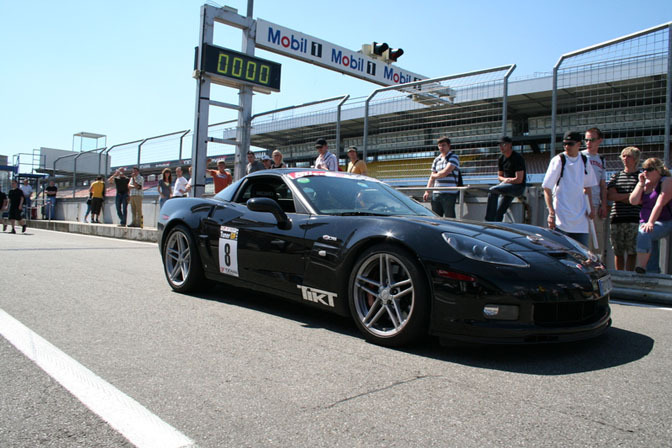 American cars like this Corvette Z06 by TIKT Performance is one of many that took part in the TunerGP. 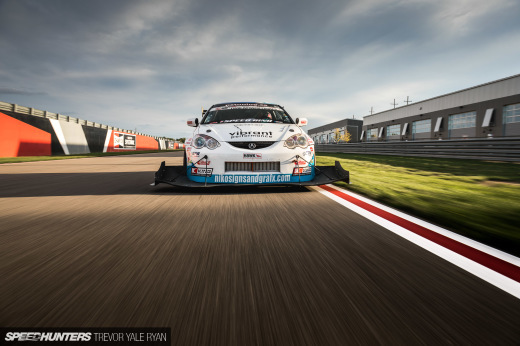 In the end, the car was no match for the Techart Porsche with a time of 1:12,163. The MTM Supercharged Audi R8 makes a astonishing 550hp; it's time around Hockenheim was 1:10,528. 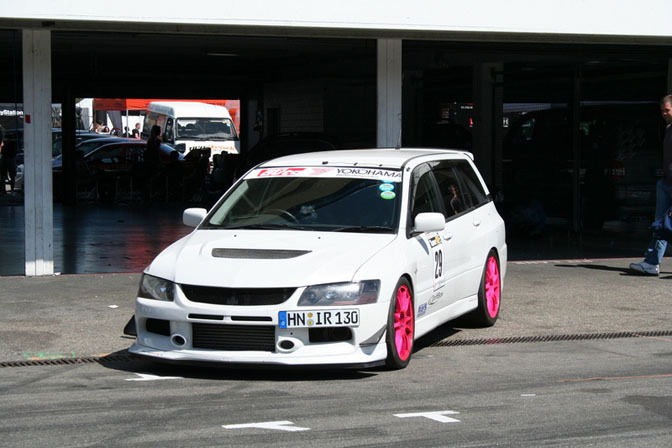 This Evo Wagon is a Japanese import; we do not have this model in Europe. The owner also has a R34 Skyline V-Spec II in white, but even so, his Evo is even more exclusive and rare. It managed a time of 1:10,984. Now for the Drift Challenge, this competition is set up differently to a typical drifting event. It's not elimination style like EDC, Formula Drift or D1GP but a showcase where drifters can show their skills. All the drifters get 20 minutes to impress the judges; within this time they do as many drift runs as possible. The judges then decide whose the best and choose the finalists to battle it out in Tsuiso competition. 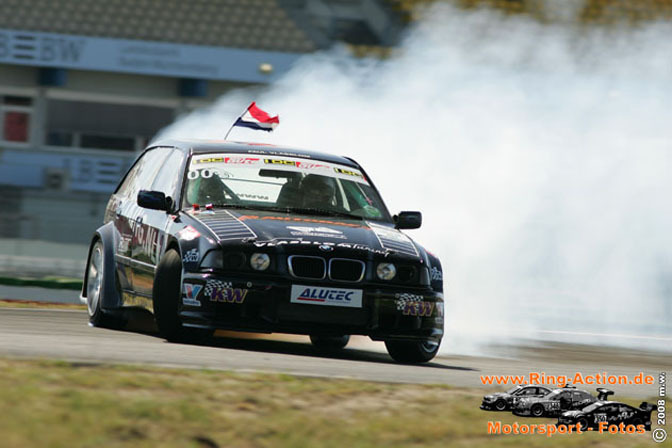 Check this Paul Vlasblom's BMW E36 Touring, a well known car in the European drift scene. 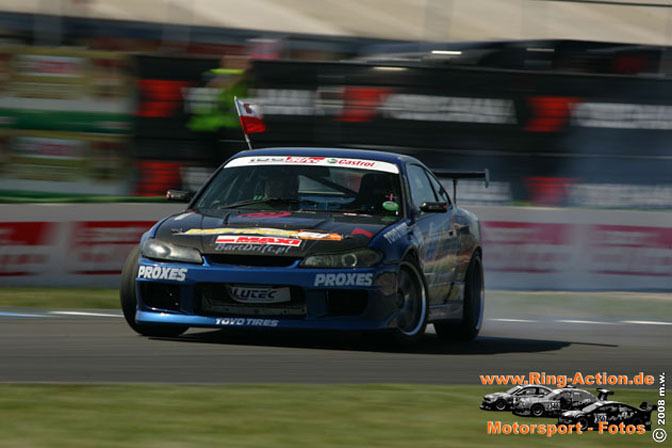 Paul has previously competed in D1 at Silverstone and was featured in one of the JDM-option videos. I've been lucky enough to have worked with him in his garage last year on a very special BMW. I hope to bring you some exclusive shots when it is finished. 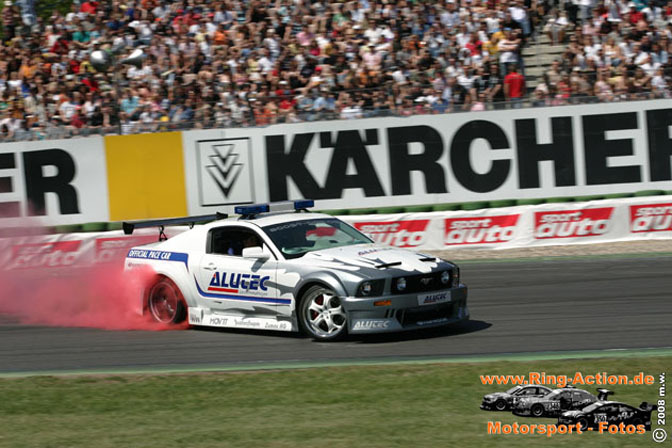 This Ford Mustang was the official pace car and was used for several drift demos. The red smoke makes for a nice change. Another contender from Holland: Remmo Niezen. 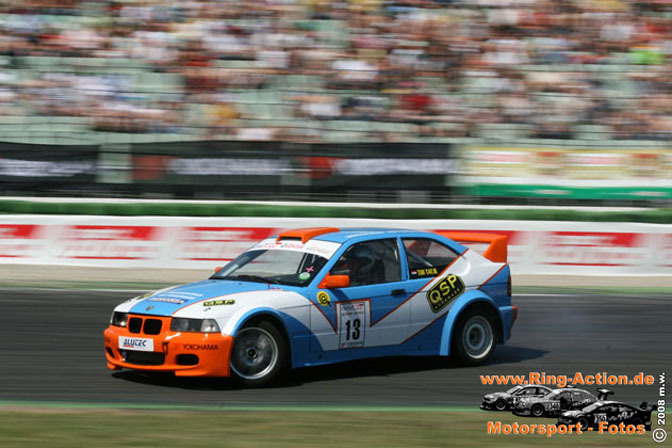 A lot of the drifters in Europe use BMW's because they are fairly cheap and spare parts are readily available. Here's a widebody E36 that also competes in the Extreme Drift Championship in the Benelux. 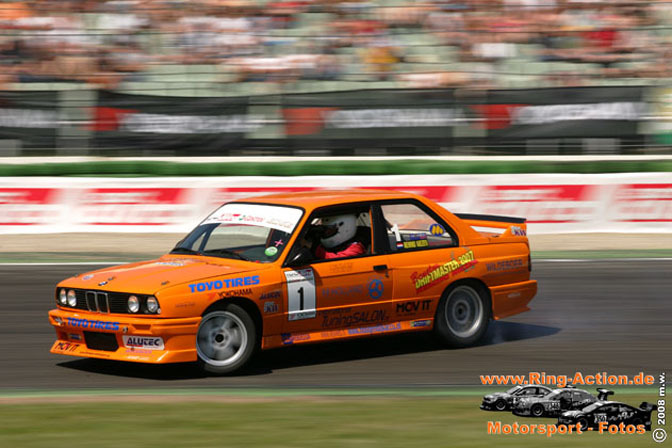 This BMW E36 Compact has a small wheelbase but with some practice even it goes sideways. All the way from Poland comes this Nissan S15. Its one of the few Nissans that competes in the German IDC series.